More fireworks from the 2014 TDCP Jeep Rally. 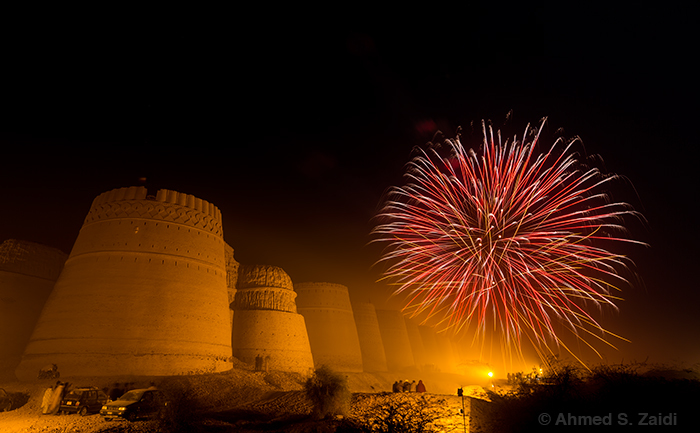 The amazing display lit up Derawar Fort and the surrounding areas of Cholistan Desert. Happened to get to the perfect spot to capture these bigger and better shells, just before the end.